Can Doing Good Make Us Miserable --and the World Worse? Is it possible that our beliefs--even "good" ones for the right reasons--make us unhappy and the world a worse place? Kendall J. Eskine, a psychology professor at Loyola University New Orleans found that those who buy organic foods are LESS inclined to help needy strangers and are much harsher, negative, and more judgmental in their moral attitudes than those who buy non-organic foods. Now, before we get into this, let me say that I've been a vegetarian, environmental advocate, and proponent of organic foods for over 20 years. In fact, for two years, I worked in an independent natural/organic foods store, long before Whole Foods Market was a household brand. To do this day, I eat organic whenever possible and wholeheartedly support the positive ideas and reasons for natural and organic living. That's not the issue here. The issue here is how sometimes our strongly held beliefs--whether about religion, politics, or even food--can make us personally unhappy and the world a worse place, even though the beliefs themselves and in isolation might be right and good for us and society. What's going on here is that we allow our strongly held convictions to become our defining characteristics of our moral identities. We see anyone who doesn't precisely share our beliefs as a threat or an enemy that must be defeated. We start to see others not as fellow human beings with their own experiences, struggles, and understanding but as generic groups of "other beings" that don't deserve our compassion simply because they don't agree with us. This viewpoint leads to two main problems: we make ourselves unhappy and we make the world a much worse place for everyone. 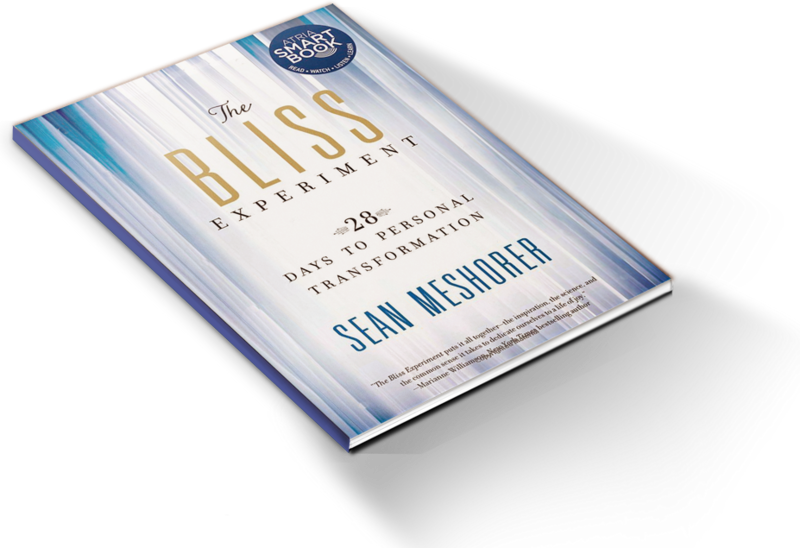 As I discuss in The Bliss Experiment, one of the key components of finding inner peace and authentic happiness is compassion. The Dalai Lama put it well when he said, "If you want to be happy, practice compassion. If you want others to be happy, practice compassion." Scientific studies (in particular look at the research in Chapter 17), not to mention common sense, have proven that a lack of compassion in ourselves not only makes us miserable but can actually lead to mental illness. In fact, many psychologists believe that the defining characteristics of certain extreme mental disorders such as Narcissistic Personality Disorder and being a sociopath are rooted in a complete lack of compassion for others. Lack of compassion also leads to anxiety, depression, broken relationships, greater life conflict, and having fewer friends. Perhaps even worse, our attitudes are contagious. We literally "catch" emotions from other people and then re-transmit them throughout the day. So when we are judgmental or harsh toward someone, that person is often negatively affected and then they, in turn, pass this negative emotion on to whomever else they come into contact that day. It's a chain reaction of pain. Worst of all is that, as this study shows, when we lose our compassion for others, we become less inclined to do altruistic acts or perform any kind of selfless service. It makes sense if you think about it: if we're consumed with the mindset that anyone who doesn't see the world the way we do is "bad, evil, ignorant, stupid, or wrong" then of course we're going to be less likely to lend them a hand. I think it goes without saying in this currently very divisive political, social, and religious climate we're what happens when we stop seeing those who don't understand or agree with us as fellow humans. The bottom line is this: it's perfectly fine to have strongly held convictions. In fact, at least to a degree, we should have these things. If we don't, it's probably an indication that we're profoundly confused. But we must never allow these convictions to make us harsh, judgmental, or lose compassion for others. Always try to keep in mind other people's realities and experiences. What works for you or is true for you, might not be true for them. What you prioritize might not be their priority--and perhaps for very good reasons because there's something about their circumstances that are radically different than your own. Genuine wisdom harmoniously unites and binds us together, never divides. Why Do We Love Superhero Movies?